Access maps, search and visualize data, and brief stakeholders using the new Explorer for ArcGIS app. Redlands, California—Esri recently released the definitive GIS app for everyone to access and share maps on their smartphone and tablet. Called Explorer for ArcGIS, the app has a modern, easy-to-use interface that allows non-GIS professionals to be productive immediately. The initial release of the app is available on iOS, with an Android version to come in a future release. With Explorer for ArcGIS, users can access any of their organization's maps authored in ArcGIS Online or Portal for ArcGIS. Users are able to search for information about their assets, determine where their assets are in relation to their current location, and share that information easily. The app allows users to share maps several ways including e-mail, text message, and platform-specific methods such as AirDrop (for iOS). Explorer includes a sketching tool that enables users to "redline" their maps. Being able to sketch on the map allows easy identification and verification of user edits and allows Explorer users to communicate and collaborate with each other easily. The Explorer for ArcGIS app also includes an interactive presentation feature. With it, users can brief stakeholders by using map slides, each containing a title, a set of visible layers, and an extent. Users can interact with a live map during their presentation and also be able to view pop-up windows and sketch with no disruption. To download Explorer for ArcGIS, visit the Apple App Store. Anyone with an iOS device can download and try the sample maps included in the Explorer app. The Android version of the app will be released through Google Play in the coming months. 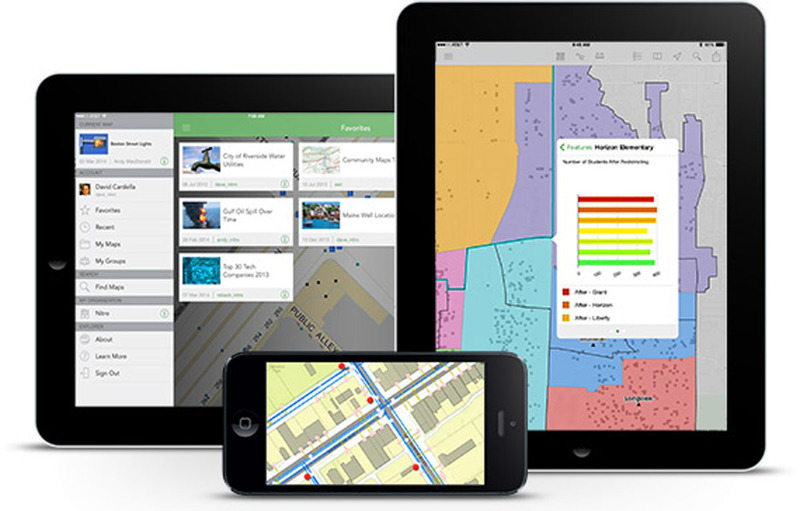 ArcGIS Online subscribers, trial users, and those with a Portal for ArcGIS account can simply download the app, sign in, and begin exploring their maps and data.